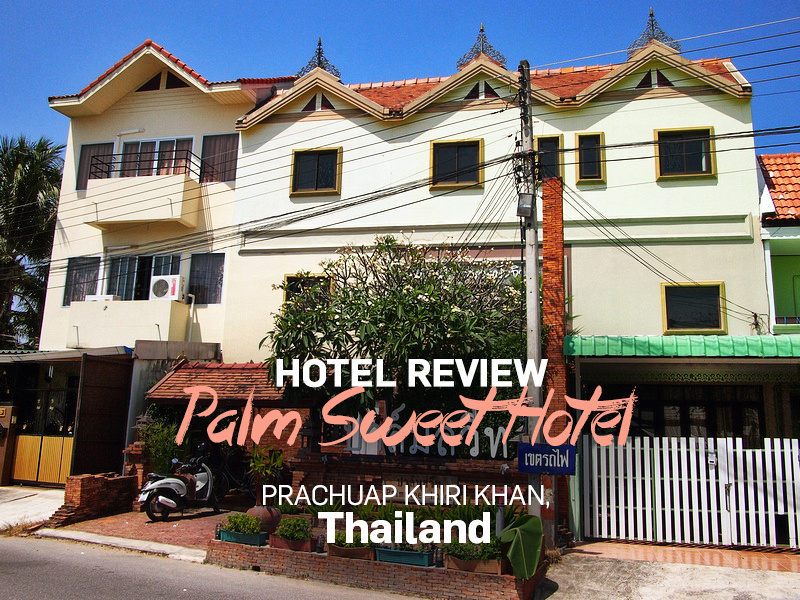 I stayed at the Palm Sweet Hotel in Prachuap Khiri Khan, Thailand. I booked online for the rate of $15.79 USD for the night and I picked it for its price and location. The hotel is situated on the road behind the railway track, so not exactly in the centre of town, but it is a small enough place to walk everywhere. It was a bit faster to walk there if you cut across the railway track at the train station. I arrived by train from Chumphon and it took about 10 minutes from the station. I got a double room with air con and private bath. I had arrived before midday so not all the rooms were available. I was offered a room with a window if I waited until the afternoon but I wanted a room then and there so I took the rom which had a window above the door. I don’t usually like windowless rooms but this window let in enough light to not feel like being in a coffin, and it was only for one night. 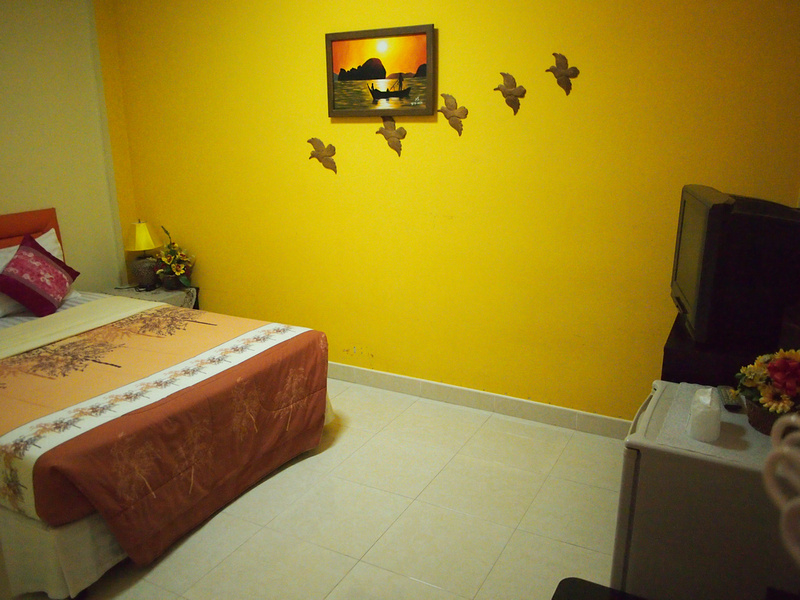 The room itself was spacious and the bed was comfortable. 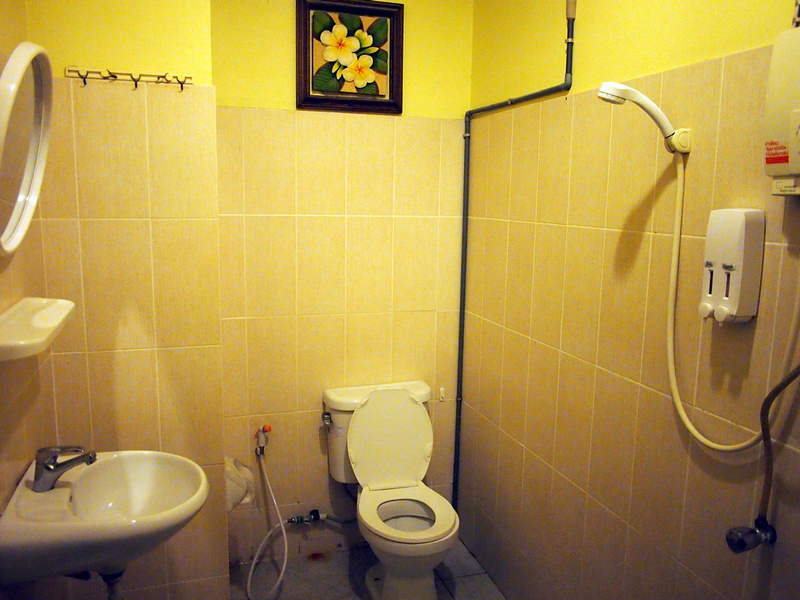 The bathroom was clean and tidy with a good hot water system. I got a good wifi signal in my room and no problems with connecting. There is also a light breakfast service here with tea and coffee, toast, bananas, cookies, and some Thai coconut snacks. You just serve yourself and sit in the little garden out the front. When I left the owner gave me a ride into town to get the bus to Bangkok. Overall this was a great little hotel to stay at in PKK. Book the Palm Sweet Hotel online or search for other hotels in Prachuap Khiri Khan.